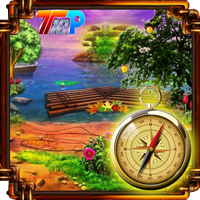 Top10 Find the Compass Escape is another point & click escape game developed by Top10NewGames. Assume that your compass was hidden by your friend. Now you are going to find it by using a key, objects, hints and by solving puzzles. We hope you will find your compass. Good luck and have fun! The number indicates which letter of the word to use.